Many people would say that the last good X-Men movie that we got was way back in 2003 with X-2: X-Men United which also happens to be the last film of the franchise directed by Bryan Singer. There was also the franchise re-boot with First Class directed by Matthew Vaughn which also got quite a bit of critical praise, and now we have this movie. Bryan Singer has come back to direct and Matthew Vaughn contributed to the script to bring the worlds of First Class and the original trilogy back together, even though the Last Stand is treated pretty much as if it never actually happened aside from a few memories in Wolverine’s head about what happens to Jean. Not only that, but this storyline is one of the most iconic and revered within the continuity of the X-Men comic, though I only know what was pulled from it for the 90’s cartoon series. Honestly, I loved where they went with this story and thought it was handled masterfully. There are still some holes here and there, but overall it was a fantastic way to tie together the rest of the movies into a slightly more cohesive continuity. There is a lot to cover in this movie, and as usual I’m not going to tread lightly on spoilers so be forewarned. Sentinels are one of the most iconic villains in the X-Men universe next to Magneto and it’s taken them seven movies to finally get around to them aside from the leg of one in a danger room sequence. We also never actually get to see Wolverine do a whole lot to one of them considering that from what I can remember can take one of the robots out single-handedly. The future Sentinels have some impressive abilities, though their look is somewhat reminiscent of the Destroyer from the first Thor movie only with more Mystique-like scales, and the past Sentinels look like vacuum cleaners. I remember originally thinking that the future X-Men looked rather boring in their all black outfits in the trailers, but it was something that I didn’t really notice during the movie, it worked better than I thought it would have. Not to mention that the action scenes with all the other new mutants against the Sentinels were all pretty impressive fights with a lot of unique battle tactics going on with Blink’s inventive use of her portal jumping powers. One thing that I always enjoy when done right is time travel, and I feel like this movie has all the right pieces for it to work. It has a good set up to explain the rules of how it works without being too confusing or over-explaining. There’s not a lot of butterfly effect changing of the future, it’s closer to the stream effect mentioned in the movie, the small changes create ripples but the overall flow corrects the timeline’s path, it’s only a major change that will fully change the timestream’s course. I suppose another minor weak point is the fact that the drama in the future doesn’t feel as important because the stakes aren’t as high when you know that everything is going to be changed by the end and once that’s gone all that’s left is the action. Which is great, but not enough to sustain the time we do spend in the future. Where this movie does excel is how it handles the characters in the past. There is a good chemistry between young Xavier, Wolverine, Beast, and Magneto pulled off very well by their respective actors. I also wasn’t originally sold when I found out that Beast isn’t fully Beast in this movie, but is more Jekyll and Hyde, but I bought the explanation as it added an important dramatic situation for young Xavier to get through. Another pleasant surprise was Quicksilver. His character in this movie is just an absolute joy, it brings the right amount of lightheartedness in this very serious movie in the right point in time. If I were to call out one weak point in the characters from the past it would be Mystique. I just didn’t like the way she was handled here. She spent too much of the movie on her own, so she didn’t get much dialogue to help us get into her head, and most of the conflicts ended with her struggling with whether or not to kill someone, as Xavier sets up that Bolivar Trask was the first person that she ever killed and that was a major turning point in her mind. Which brings me to Trask himself, he was the perfect villain for this movie. Peter Dinklage really nailed what this character was meant to be, especially one of the small things such as any time he would refer to a mutant he wouldn’t call them a him or her, he would always call them an “it”. One of the last things I really enjoyed about this movie was the sense of continuity. 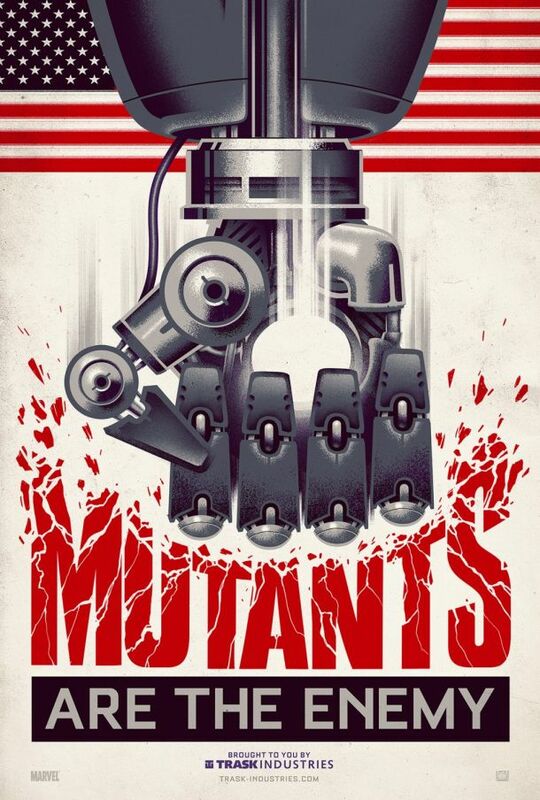 Even though there are a few major plot points that are unexplained how they ret-conned things from earlier movies: Wolverine has metal claws in the future though they were destroyed in The Wolverine, Magneto has his full powers though they were gone at the end of The Last Stand, and Xavier was disintegrated in the Last Stand, but as these are major parts of their respective characters I didn’t really care that there was some off-screen explanation. What I did like were the callbacks to earlier movies like how Cerebro’s chamber still looks almost exactly the same as it did in the first two X-Men movies, there’s a great callback to the metal detector gag used in the earlier movies, there’s clips from some of the better moments of the Last Stand, and the final scene is just a joy to see what characters come back even if just for a brief moment. I had only a few minor nitpicks with this movie but overall I thought it was a great return to form for the franchise and right on par with the first two movies and First Class which I love almost equally. I can’t wait to see it again and I think it’s on the right direction for another big villain in Apocalypse. Until next time, this has been Bubbawheat for Flights, Tights, and Movie Nights. Posted on May 25, 2014, in 10's movies and tagged film, movies, new release, review, time travel, x-men. Bookmark the permalink. 25 Comments. Maybe. Most of the complaints I had were washed away by the amount of fun I had while watching it and the interaction between the characters. The movie that reversed the travesty that was The Last Stand! Good to have Singer back — who I partially blame for TLS (withdrawing to do Superman Returns and leaving the production in the hands of a hack), but I’m not bitter ;-). Really enjoyed this. Yeah, Singer really helped screw the pooch on the Last Stand, though I don’t entirely blame Ratner either. He was put into this mega budget movie that was all ready to go, with a looming deadline, and he probably did what he could do with what he was given to work with. Ah I just loved this so much. I just wanted more Quicksilver. Yes! Hopefully he returns in Apocalypse even though he probably won’t be the same, as I doubt they’ll bring back 70’s teenager Quicksilver again. I doubt they’ll re-cast him in the Apocalypse version if his in it. Mainly because his great performance in this film but also because he really didn’t look teenage young to begin with so he could pull of being ten years older or whatever he is when Apocalypse takes place. I get the feeling that most of the negatives come from people more familiar with the comic book event, which I have zero background with. Very curious how they’re going to deal with Apocalypse, if it’s going to be young cast, old cast, or another mix since while I don’t remember him being able to time travel, I do remember that he has been around since ancient times. Hopefully the Apocalypse film will just have Bishop coming back and have the new cast with some of the classic X-Men characters rebooted. Like Storm and Cyclops. I watched the cartoon when it came out, though all I remember about the DOFP arc is a grey-streaked Wolverine looking at the tombstones of most of the other X-men. Good review, Bubbawheat! I am soooo behind with these recent films. I have yet to see this but I hope to catch up very soon. Nice work. It’s worth your while, there’s a reason this is one of the best reviewed and highest grossing of the X-Men films. Anxious to finally rank it once I’ve seen it! Good review! I just watched the film on Blu-Ray as I missed it when it was first released. I liked it a lot, especially loved the 70’s feel just like I loved 50’s in the First Class. I think what makes these movies special is that they are not entirely set in the future but the real world in the past and that past is done wonderfully. Of course I loved Quicksilver wearing Pink Floyd shirt. I’m curious how they are going to handle Quicksilver in the Avengers: Age of Ultron now with a different actor. Can’t wait for the discussions which Quicksilver is better. Only problem I had with this movie was continuity. I watched all the previous X-men movies not long ago so I clearly saw all the holes in this one. It was a joy to watch anyway. I also liked new characters like Blink and I’m sure we’ll get to see more of them in Apocalypse. At least they have the excuse that they were changing continuity in this one so it’s kind of ok that they got things a bit wrong here and there. I’ve avoided the Ultron trailer so far, but I’ve heard that there’s a brief glimpse of Quicksilver there and he looks great. I’m curious how it will work with the 80’s feel that will be in Apocalypse and if they will then continue it once again to be the 90’s after that unless that puts it too close to Patrick Stewart’s time.